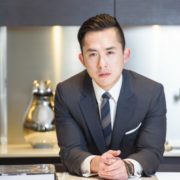 One might expect that a developer currently working on global real estate projects worth billions of dollars to be obsessed with numbers and profit, but Joo Kim Tiah, CEO of Holborn Group, argues that succeeding in today’s real estate market is now more than ever about creating unforgettable spaces and experiences. 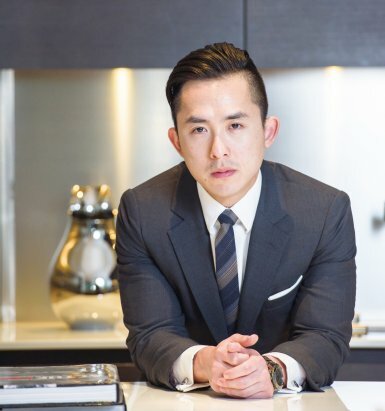 This attitude has earned this Malaysian-born developer a reputation as a unique “outside-the-box” thinker in real estate. 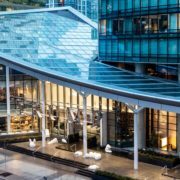 Since becoming CEO of TA Global in 2016, he’s been at the helm of a number of iconic luxury projects, including one of downtown Vancouver’s newest iconic buildings, Trump International Hotel and Tower. Currently, Tiah is working on several projects in Canada, Australia, and Malaysia, valued at approximately 3 billion Canadian Dollars. I recently had the chance to discuss the ins and outs of the real estate industry with Tiah. Besides learning that he’s a skilled heavy-metal drummer who was once invited to play a song onstage with Kiss’ lead singer and guitarist, Gene Simmons, I got to hear his thoughts on the biggest challenges inside the world of real estate, transcending the dollar sign, and what to expect if you’re just starting out. Evaluating practical detail is part of any building project: current land prices, an area’s average lease price, zoning laws, and construction costs, to name a few. Knowing those things is vital, but Tiah also points to less tangible factors as crucial to a building’s success. “We need to put ourselves in the position of the end user, and whether it’s a place that we would want to live, work and play, depending on what we are planning to develop in the area,” he says. That means looking at things like, for example, amenities. If you’re building apartments for families, school zones are an important factor. Grocery stores, preferably with some kind of delivery service, would be key if you had a property aimed at senior citizens. Demographics are another big one, as is market supply and demand. In general, Tiah doesn’t see himself as just a guy who develops buildings. Sure, his work helps customers fulfill one of Maslow’s physiological needs, but he also considers the home-buying experience a memory in the making. Whether it’s purchasing your first property or relocating to a new city, there are real feelings attached to this experience, and Tiah sees himself as a facilitator of those. Real estate as a profession, then, can be about much more than selling someone a pile of bricks, if you want it to be. Do the legwork from point one of this list, and you’ll have a much clearer understanding of what emotional milestones would best resonate with your customers. Adjust your pitch accordingly. “The things that get you are always the things that you never expect,” says Tiah. The building and selling process relies on computer-generated imagery (CGI) renderings throughout a project. When Tiah and his team designed the pillars for one hotel’s lounge, they chose a gold structure that looked fantastic in the rendering but turned out to be gigantic, bulky, and unmanageable in real life. The project wasn’t a bust, though, because Tiah and his team at Holborn Group compared rendering to reality partway through construction, not after. Fixing the pillars set them back a little in terms of timeframe and cost, but not nearly as much as it would have had they waited to check, or if they had tried to go forward without fixing this issue at all. The moral of the story? Well, regularly check details throughout the development process. And then add to that Tiah’s point about “expecting the unexpected.” None of us can know exactly how a project will progress, and even the most careful person will encounter unforeseen issues. However, it will cut down on long-term stress if you go into projects already accepting the fact that some surprises always await you. With this mental preparedness and a mindset favoring agility, you will be much more likely to succeed in both worst and best-case scenarios. If you’re currently in real estate, you’ll know it’s a tough profession. It demands long hours and super-human energy levels. It’s competitive, even cutthroat at times. Tiah’s high-profile projects come with their challenges, but his excitement outweighs any trials. Currently, he’s working on a mixed use property in downtown Vancouver that will house offices, condos, restaurants, and a variety of retailers. The project requires a major rezoning process, though Tiah just takes this in stride as a necessary step in a much bigger picture. He’s also working on two 60-story towers in the luxurious Kuala Lumpur City Centre (KLCC), which will include both hotel space and condos. These are the kinds of projects that let Tiah put his advice and favorite things about real estate into practice, allowing him to continue to nurture the communities that excite him most. Tiah sees his buildings as much more than money makers–and he recommends you do the same. Along with that, Tiah believes in order to be successful in real estate, you need legitimate passion for real estate to make a career of it. “If it doesn’t get you excited, then you’re not cut out for it,” he says. On that note, however, there’s plenty to get excited about in the real estate sector. As Tiah sees it, cities are always growing and maturing. And with more and more people moving to urban areas, there’s an ever-growing demand to create livable communities, whether you’re selling a luxury condo or developing student housing. If you think you can manage the above list, you may just be cut out for the job.